“Game of Thrones” Season 7's official trailer was finally released by HBO on Wednesday. Once again, it sends chills down the spine. As the winter has come, The Great War is now being teased that might bring Jon Snow (Kit Harington), Daenerys Targaryen (Emilia Clarke), and Cersei Lannister (Lena Headey) in one place. The new teaser gave a glimpse of the imminent battle happening between the kingdoms and its rulers. As the upcoming chapter would only have eight episodes, fans can expect to see a quick twist and turn of events that will definitely all intense. The trailer only runs for one minute and 49 seconds, but it managed to feature all the juiciest scenes fans need to see. It started with Cersei walking in the King’s Landing, saying that they are being surrounded by the enemies. She mentioned all the four cardinal directions. From the East, there is Daenerys' army led by Grey Worm (Jacob Anderson) while in the West is Euron Greyjoy on his ship. In the South, a sword can be seen being sharpened that seems to be in Dorne. Lastly, in the North is Arya Starks (Maisie Williams) riding on a horse. A huge map was also seen where Cersei and Jamie Lannister (Nikolaj Coster-Waldau) are planning their next move. Evidently, he stays by her side saying, "We're the last Lannisters.” However, the next scene revealed Tyrion Lannister (Peter Dinklage), the other Lannister. "The last ones who count," his sister said. Next, Daenerys arrived at the Dragonstone, the castle in Blackwater Bay that is originally owned by House Targaryen. "I was born to rule the Seven Kingdoms, and I will," the Khaleesi uttered. Later, a battle is seen involving her people that seem to be taking over Casterly Rock. Of course, Jon Snow is seen in the picture as his people are screaming, “The King of the North,” in Winterfell. Sansa Stark (Sophie Turner) and Brienne of Tarth (Gwendoline Christie) are also there. 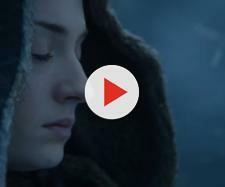 The teaser also showed Littlefinger (Aidan Gillen) trying to manipulate Sansa. "Your fathers and brothers are gone,” he warned. He is trying to convince her that she is the last hope against the upcoming storm and not her brother. For a quick moment, Theon Greyjoy’s (Alfie Allen) face is flashed and he looks very scared. Melisandre (Carice van Houten), too, has arrived at the Dragonstone. As the winter has come, people in the North can be seen running on the show, but it is not yet revealed if it is because of White Walkers. Arya is also now in the North and it seems like she is on her way home. There is a group of people seen in a circle and some say it is Jon Snow, Gendry (Joe Dempsie), Davos Seaworth (Liam Cunningham), Thoros, Tormund (Kristofer Hivju), and Beric ready to fight the Wights. Moreover, Davos can be also heard warning everyone that if they don’t put aside their resentments they are all going to die. Hence, it will make no sense whose skeleton is going to take the Iron Throne. And the trailer ended with Jon Snow saying, "The Great War is here."